One great streak is over. One terrible streak went away as well. 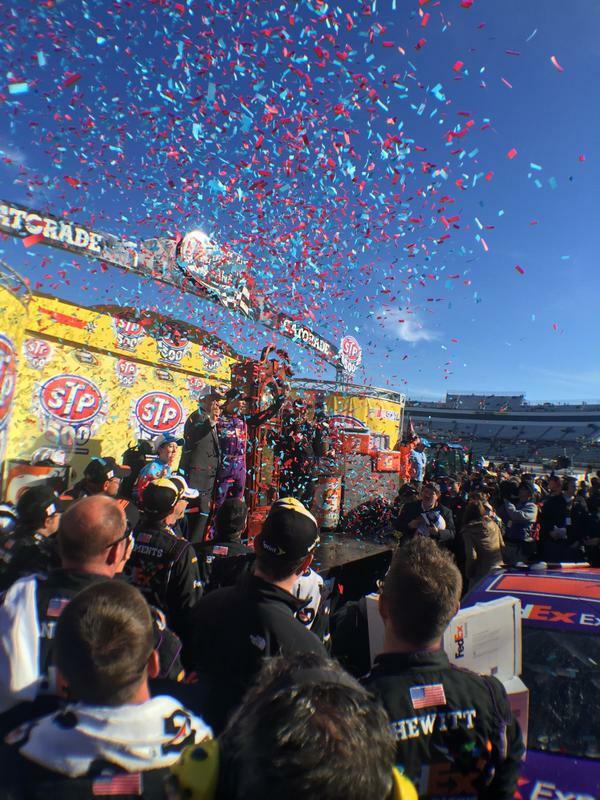 So Sprint Cup fans might be surprised to see who the winners and losers were from Sunday’s AAA 500 at Martinsville. Kevin Harvick’s streak of first or second place finishes ended at eight. But an eighth place finish at one of his worst historical tracks bodes well for Harvick’s chances at a repeat. Kurt Busch is just 35 points out of 16th place, even after missing the first three races of the 2015 Sprint Cup season. Danica Patrick would make the Chase if the playoff started next week and had a top-10 Sunday. Tony Stewart even led eight laps at Martinsville. 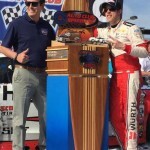 Last year, Stewart Haas Racing was Kevin Harvick and three other people. In 2015, Stewart Haas Racing is starting to look like a complete unit. It’s easy to see two SHR drivers in the Chase, and with two road courses on the horizon, a third could happen. I wouldn’t have ever considered either scenerio that a month ago. 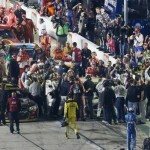 Kyle Larson was held out of the race after fainting during an autograph session. The much hyped Chase Elliot was an utter dud after a 38th place finish and scrape with Alex Bowman. Trevor Bayne and Ricky Stenhouse didn’t do much either. There is still plenty of time to see any of these drivers because the next household star. But short tracks can bring the best or worst out of certain drivers. Sunday, Sprint Cup’s next generation had a bad day at school. 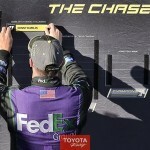 One one hand, Denny Hamlin won the race. Matt Kesneth looked good. David Ragan looks like he belongs. This all looks dandy. On the other hand, Toyota almost went a full Sprint Cup season in between wins. Carl Edwards is having assimilation pains. The JD Gibbs health situation is downright scary. Michael Waltrip Racing continues to struggle. For it being just six races into the 2015 Sprint Cup season, Sunday’s win feels like a huge coup for Toyota. NASCAR has a week off to celebrate Easter and catch its breath. After the first six weeks of the year, it’s a well-earned respite. Enjoy the week, and insert a random catchphrase here.